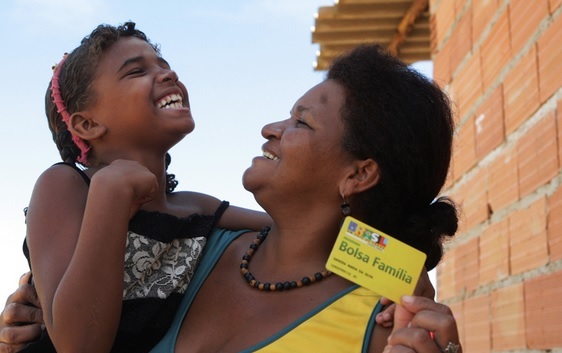 In many conditional cash transfer (CCT) programmes worldwide - including Brazil’s Bolsa Família - cash transfers are preferentially made to women. This feature was motivated by earlier research showing that greater control over resources among women is linked to an increase in their decision-making power and improved outcomes among children (e.g. Quisumbing, 2003). However, there is little quantitative evidence demonstrating that CCT programmes with female beneficiaries trigger increases in women’s decision-making power. Previous research does not find consensus on the issue, and, further, it is largely drawn from CCTs in rural Mexico, giving little insight into how impacts might differ in different contexts. It is also important to note that transferring cash to women does not guarantee that women’s control over resources will increase. For example, women’s spouses or other household members could take control over the cash once it is transferred. Therefore, empirical evidence is required to assess whether CCTs can be effective in increasing women’s decision-making power, and under what circumstances. Given the growing popularity of CCTs and widespread interest in increasing women’s empowerment worldwide, the question has become increasingly compelling. Brazil is a particularly interesting place to study the potential impacts of a CCT on women's decision-making power. Brazil has prioritised women's empowerment in its national policy. And Bolsa Familia has more beneficiaries than any other CCT in the world, so any impacts found would suggest empowerment among a large population of women. Thus Bolsa Familia provides a unique opportunity to assess the impacts of CCTs on women's decision-making in a large, diverse setting covering both rural and urban areas and where women's empowerment is a key goal. In a recent paper (de Brauw et al., 2012), we estimate the impacts of transfers associated with Bolsa Familia on several measures of women's decision-making power. To do so, we use a rich longitudinal dataset of Bolsa Familia beneficiary and non-beneficiary households collected in 2005 and 2009. Outcomes are measured using a series of questions asked of the main female respondent regarding who in the household generally made decisions about a range of issues. We estimate impacts of Bolsa Familia on these outcomes solely among households headed by a male and female partnership. Since benefits from Bolsa Familia were not randomly assigned, we use propensity score weighting (Hirano, Imbens and Ridder, 2003) to construct a statistically balanced comparison group of non beneficiaries. Propensity scores are constructed using extensive information on socio-economic characteristics collected at baseline, combined with municipal characteristics measured aroung the time of baseline. We find that Bolsa Familia increases women's decision-making power along several dimensions, but with heterogeneity in impacts. A key finding is that participation in Bolsa Familia significantly increases the share of women who report exclusive control over contraception decisions over our entire estimation sample, by about 10 percentage points. While we cannot infer from the survey response whether being the decision-maker regarding contraception necessarily means deciding to use contraception, this result is compelling in light of concerns that CCT programmes providing transfers on a per-child basis may encourage increased fertility. Disaggregating between urban and rural areas, we find that impacts on decision-making regarding contraception are even larger in urban areas and more precisely estimated, and there are also significant increases in women's voice in several other areas including children's school attendance, children's health expenses, and purchases of durable goods. The disaggregation reveals that all statistically significant positive impacts in our sample are concentrated in urban areas. In rural areas, we find no causal impacts of Bolsa Familia on women's decision-making power. While the sample in rural areas is small relative to the urban sample, estimated differences between impacts across subsamples are statistically significant, suggesting that cash transfers to women may translate very differently to women's control over resources in urban versus rural areas. Our findings suggest that Bolsa Familia has had meaningful impacts on women's control over decision-making in urban areas. While the results represent some of the first direct quantitative evidence of a CCT's impact on specific areas of women's decision-making, the impacts vary by place. The findings span several decision-making spheres, suggesting that impacts may be interpreted as greater equity in the household than a greater burden on women with gender-stereotyped roles. As such, these results indicate that, particularly in urban areas, CCTs distributed to women in the household may be an effective way to give women more voice in household decisions. De Braw, A., D. Gilligan, J. Hoddinott and S. Roy (2012). "The impact of Bolsa Familia on Women's Decision-Making Power", World Development, forthcoming. Hirano, K., G. Imbens and G. Ridder (2003). "Efficient estimation of average treatment effects using the Estimated Propensity Score", Econometrica, 71(4): 1161-1189.